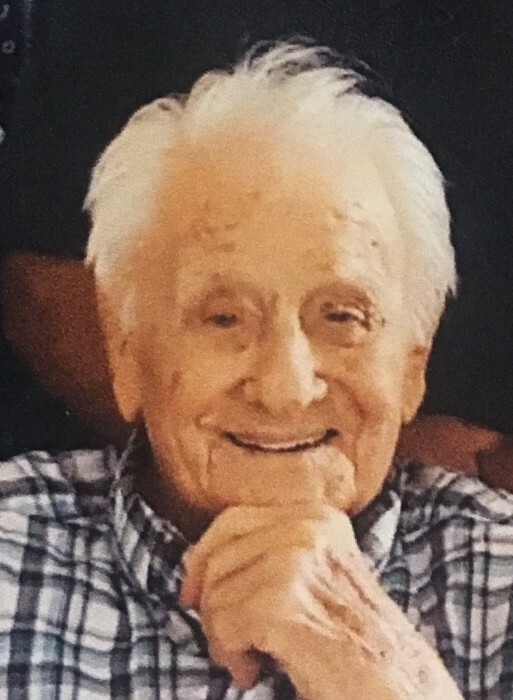 Elbert (Abe) Drasher, 105, died Wednesday, November 28, 2018, in Smith Heath Care, Mountain Top, where he had been a guest for 5 years. Born in Freeland, he was the son of the late Walter and Carrie Betterly Drasher and was a carpenter for Wilmot Eng. Company, prior to retiring. He was a member of St. Paul's Church, White Haven; enjoyed traveling, hunting, spending time with his family and was an avid reader. He was preceded in death, in addition to his parents, by his wife, the former Arlene Barry; brother, Stanley Drasher formerly of Baltimore; sisters, Alice Hinkle and Betty Zahn formerly of Freeland. Abe is survived by his son, Barry Drasher and his wife, Barbara, White Haven; daughter, Lois and her husband, Edward Earl Jones, White Haven; grandchildren, Joshua Drasher, White Haven; Mark Jones and his wife, Linda, Moontoursville; Sharon Ruggiero and her husband, Walter, Scotrun; Lori Weeks and her husband, Don, Lancaster. He also is survived by 7 great grandchildren, one great great granddaughter, as well as several nieces and nephews. Arrangements by Lehman Family Funeral Service, Inc. White Haven.